With a slamming summer festival performance circuit under their belts, and upcoming shows at Croatia’s Outlook Festival and Bulgaria’s Parklife, the stellar live dubstep band from Leeds, Submotion Orchestra are becoming one of the highlights of this summer’s music calendar. The dubstep seven piece’s exhilarating shows bring that bombastic bass with bubbling grooves and soaring vocals from Ruby Wood, all laid down in a sublime new single, out Monday called Blind Spot. The band also host a Singha Secrets city guide to Leeds and in October take to the road on their UK headlining tour, keeping the summer rolling across Bristol to London, Manchester to Sheffield, through to their celebratory homecoming gig in Leeds on 25th October at Stylus. 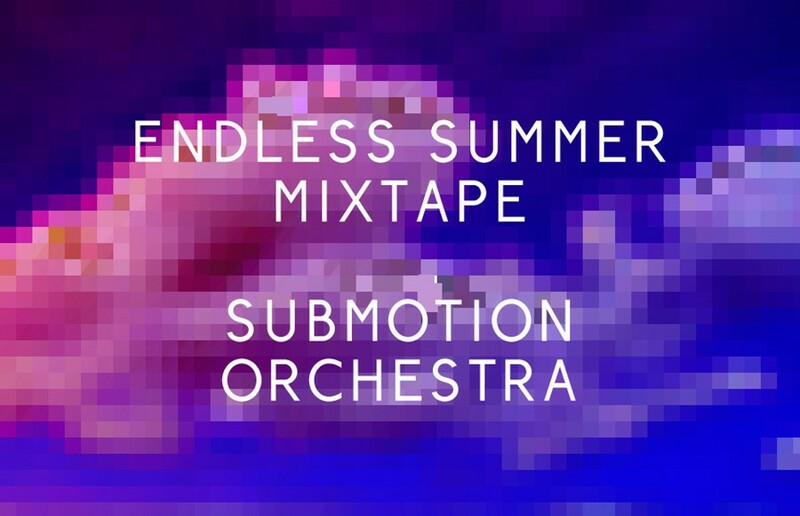 With this in mind, the band have delivered an Endless Summer mixtape for Dazed, a sweltering soulful mix that bumps from Gwen McCrae to Biggie, Submotion gems to Prince Fatty and Totally Enormous Extinct Dinosaurs, enjoy! Check out Submotion Orchestra’s secret guide to Leeds as part of Singha Secrets HERE.